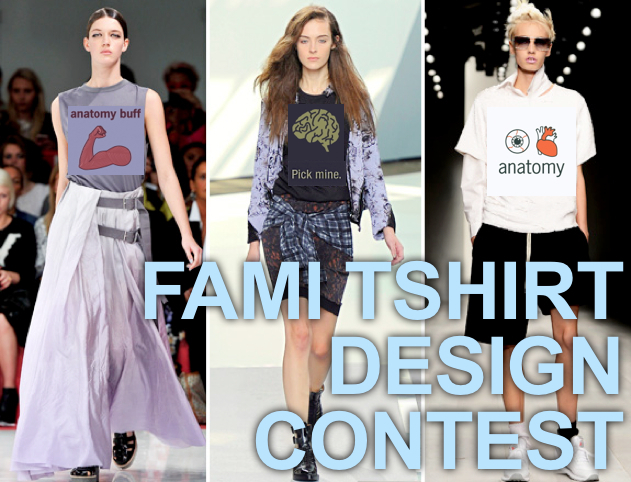 FAMI FUN Part 1: FAMI T-Shirt Design Contest! 15 Mar FAMI FUN Part 1: FAMI T-Shirt Design Contest! 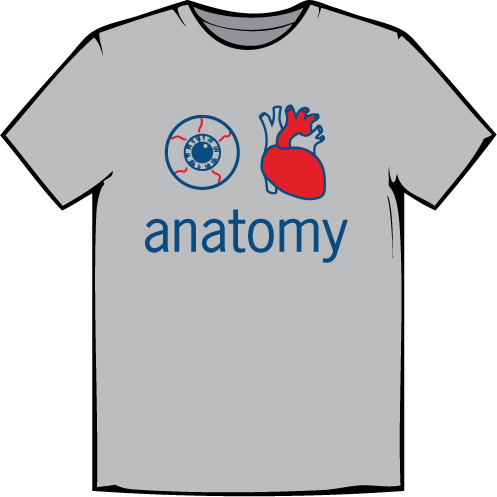 Every year, attendees at the ever-popular FAMI Workshop show some anatomy love by sporting our fun (and anatomy punned) FAMI tees! This year, we’re opening the floor to YOU to help us design the 2013 FAMI tee! Whether you’re a FAMI veteran brimming with ideas, a FAMI rookie with a creative edge, or just simply want to get in on the fun, we encourage you to try your hand at some FAMI fashion. All submissions will be entered into a raffle, the winner of which will receive a $150 Kinected gift card and have his/her design entered into the final pool of 2013 t-shirt ideas. The design chosen from the final pool will be made into limited edition FAMI swag! 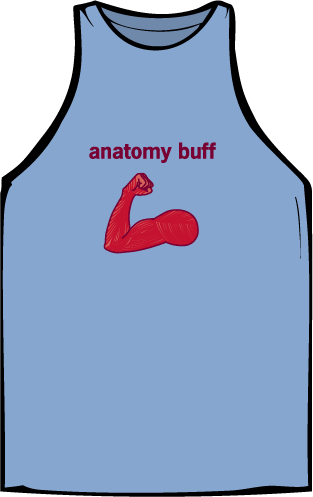 Draw or describe your t-shirt design concept, which needs to be anatomy-themed. Feel free to use our design template to get you started. “Like” Kinected on Facebook & post your idea (photo or text) on our wall. Be sure to include #famitshirt2013 so we know you’re entering the raffle! 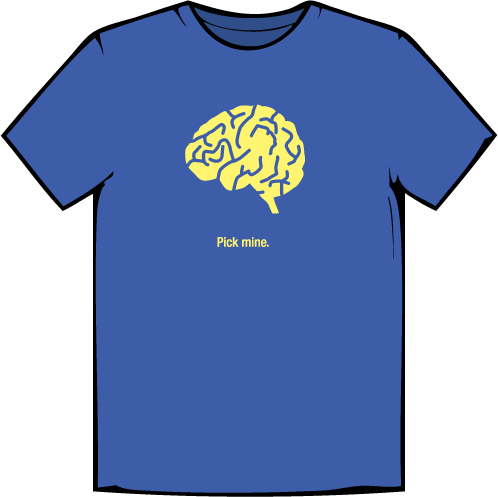 Check out some existing t-shirt designs below to get your creative juices flowing! The winner will be announced April 15th on Facebook. If you haven’t yet registered for FAMI 2013, make sure to do so before the early bird discount ends April 1st! And stay tuned for Parts 2 & 3 of FAMI FUN – coming soon!